Calming colors are best. A peaceful retreat needs a calming color scheme. Think day at the beach or floating on a cloud kind of calm. Add a rug. Hardwoods throughout the home adds overall value; however, some buyers are hesitant to have hard flooring surfaces in their bedroom. Rugs add texture and warmth to any bedroom without adding the lasting commitment to maintaining wall-to-wall carpet. There’s nothing more luxurious than having your feet hit a soft rug first thing in the morning. Get the lighting right. Matching lamps in the right size/scale are a must. The room should have a variety of lighting sources, including reading/task lights in addition to overhead lighting. Ensure the lamps next to the bed are the correct height for reading when lying in bed. 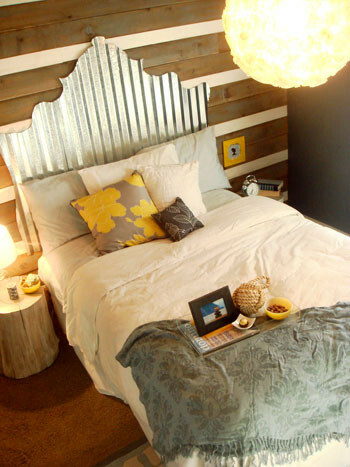 Often times, lamps used on nightstands are too short for appropriate task lighting function. 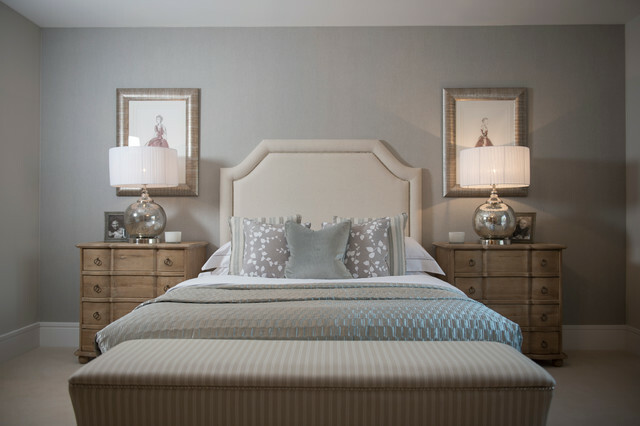 If you would like to add drama, symmetry and additional light, hang matching mirrors behind each lamp on either side of the bed. Tall mirrors will draw the eye up to highlight the height of the ceiling as well. 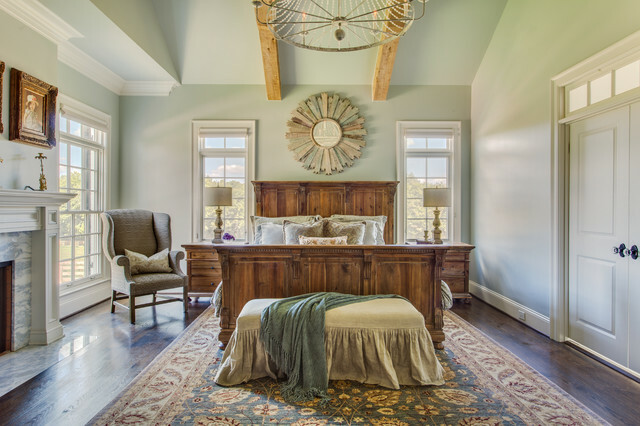 If you don’t live in the South (where a ceiling fan is required), a statement piece chandelier, which matches the style of the home, can add tremendous value to the master bedroom. Ample natural light is still key for creating a warm environment buyers will want for themselves. Open the drapes/blinds, and turn on all lamps for showings and Open Houses. The room below has all of the elements going for it. The nightstands in the room below do not match; however, they are the same size, scale and color; therefore they work just fine! 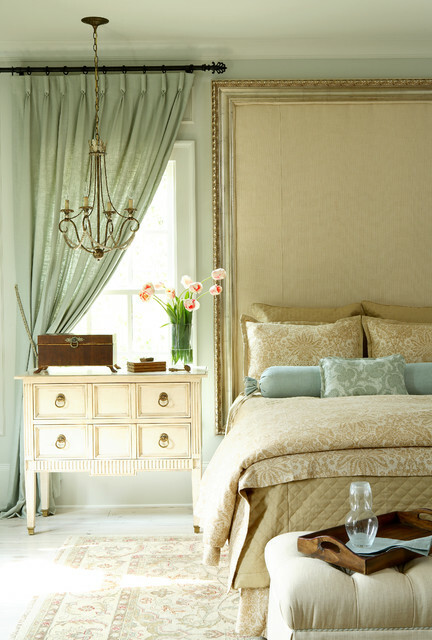 The room below has limited space, but the floating nightstands and hanging sconces create balance, function and beauty. Have a seat. 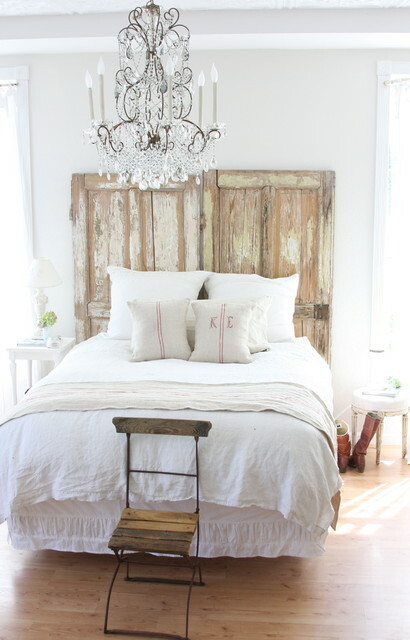 A stylish bench at the end of the bed, or a vintage chair in the bay window, will add to the hotel feel of the space. 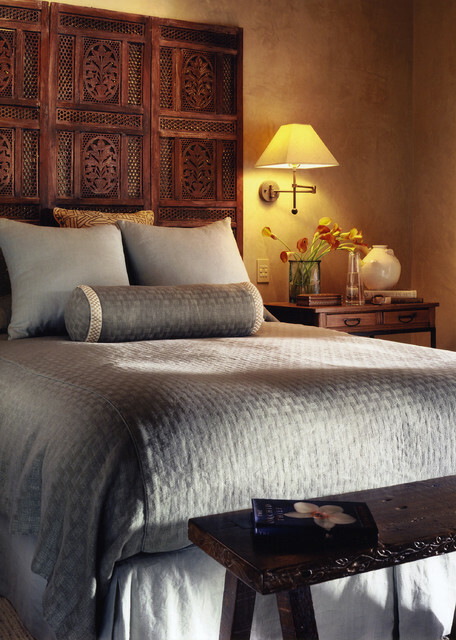 I hope you are now inspired to create a serene retreat in your master bedroom. Buyers will covet it, and your calmer spirit will reap the benefits, too. Check out Put Your Money Where Your Paint Is to see a real life master bedroom transformation, which received 39 showings and 11 offers (9 above list price) within the first 24 hours on the market. Small décor changes meant BIG life changes for these sellers! Sitting Pretty Redesign would love to work with you. 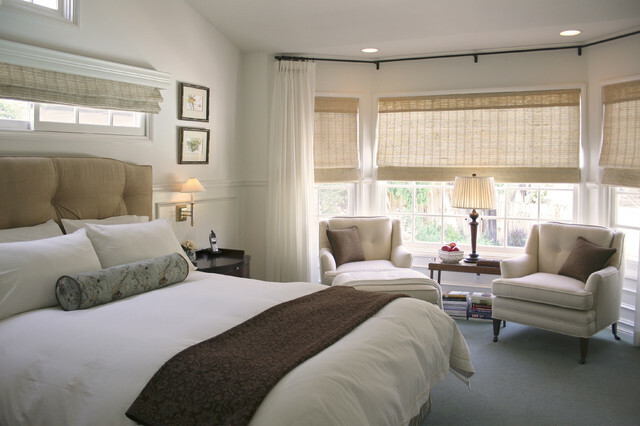 Check out Services for Designing to Sell and Services for Designing to Dwell to learn more about how we can partner with you to create the perfect master bedroom retreat.